To repair the damage done to the brand by the disastrous Dieselgate scandal, Volkswagen wants to reinvent itself as a premium electric carmaker with the launch of its new I.D. range. Three concepts have already previewed the potential production line-up: the , the , and the . Initially, Volkswagen will launch the in selected markets in 2020 – but the US won’t be one of them, according to . Can you guess which I.D. car is coming to America first instead? 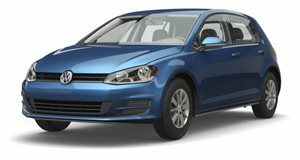 Volkswagen, on the other hand, has promised that its , which could give it a competitive edge. The I.D. Buzz also still hasn’t been confirmed for production, but VW’s modular platform means we’ll likely see the – but it might not happen until close to 2025. As for what you can expect from the Crozz I.D. when the production model launches, the concept debuted at Shanghai with a 75 kW motor at the front axle and a 150 kW motor at the rear, producing a combined output of 302 hp and a quoted range of 311 miles on the European driving cycle.